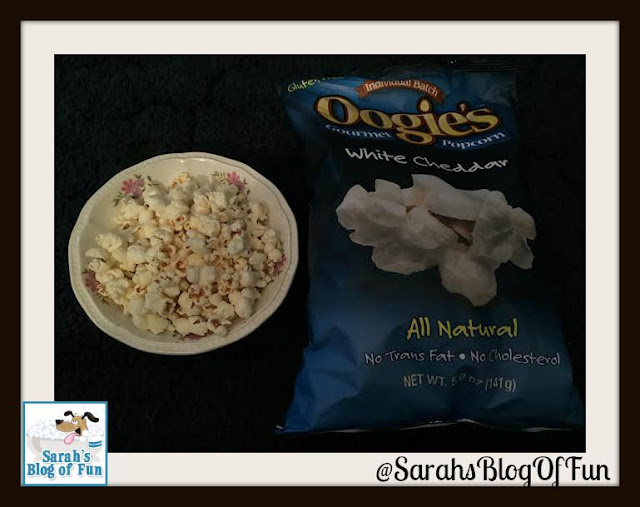 Here at Oogie's, we are popcorn lovers! It started as a fun experiment in our kitchen and sparked a natural popcorn revolution. Join the fun. We'll turn you popcorn lovers into gourmet popcorn aficionados one kernel at a time. 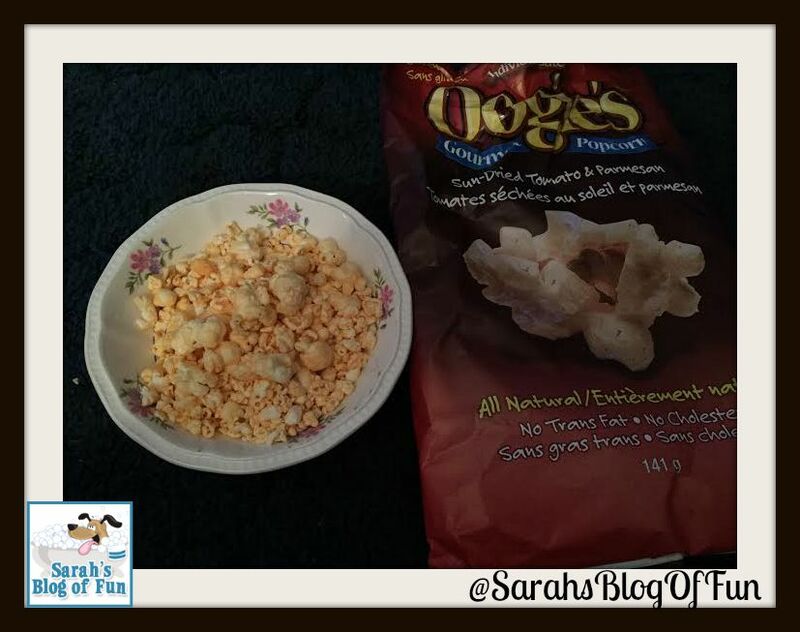 I am a popcorn fanatic!! I always grab a bag of popcorn for a snack. It's light, fluffy and just plain yummy!! 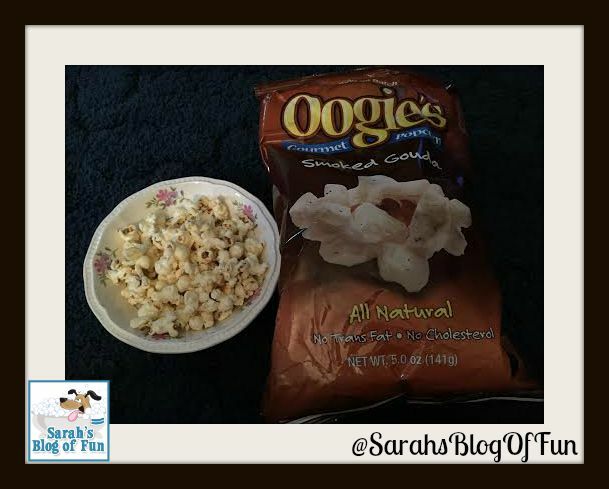 There are a lot of varieties of popcorn out there, and I thought I had tried them all until I found Oogies!! 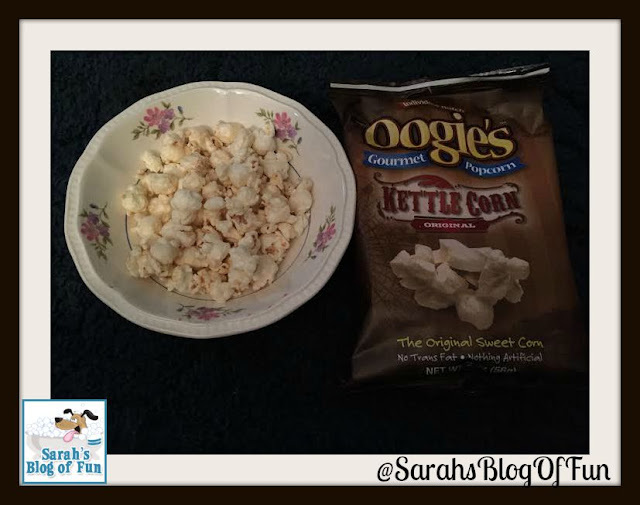 Oogies popcorn has a wide variety of flavor combinations that I never would have thought to add to popcorn. We were sent a party pack full of popcorn to try. I was in heaven!! 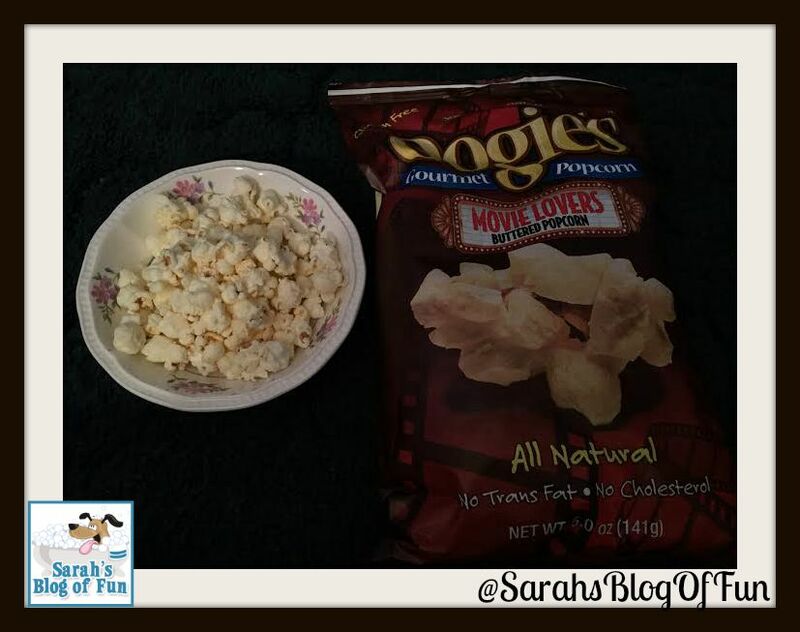 Now I am a sucker for buttered popcorn, so the first bag I tried was the Movie Lovers Buttered Popcorn. If you want a terrific butter flavor that is just like the stuff you get at the movies, then this is for you!! I then had to munch on the Kettle Corn. It has the perfect mix of sweet and salty to fix any cravings you have!! Sun Dried Tomato & Parmesan really sounded odd to me at first. Popcorn and tomatoes?? I actually found it quite delicious!! It has a really nice taste to it, and the Parmesan flavor is just right. One of my favorites!! I am not a big spicy person, but my kids, husband and dog loved this!! It has quite a bite to it. You taste the chili and Queso quite predominantly, and then you feel the kick at the end!! I have had White Cheddar popcorn before, and a lot of the time I find that you can't even taste the cheese very much. This is packed with cheesy goodness!! Light and fluffy, but full of cheddar!! 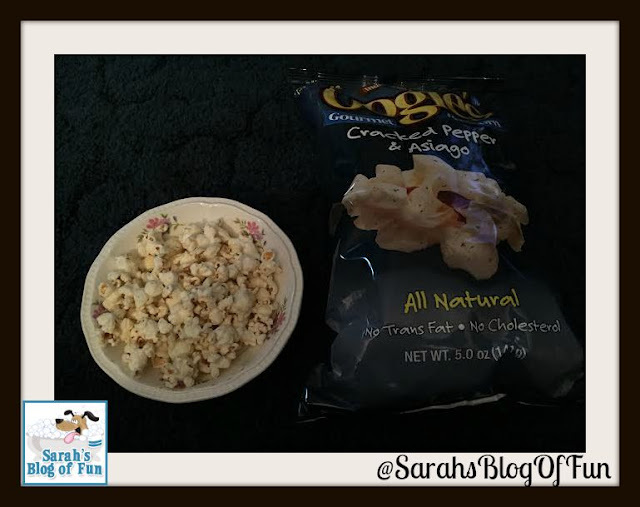 This is another popcorn that has a delicious and strong cheese taste to it. I love anything with lime, so I was very excited about this one!! I sadly have to report that it did not have as much lime flavor as I would have liked. 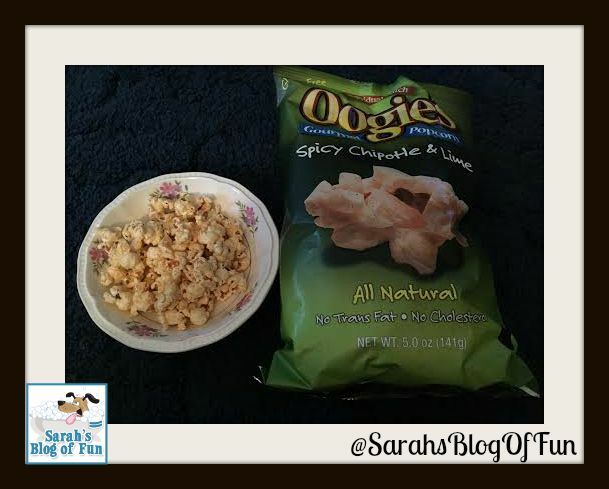 Don't get me wrong, it's still really good, but I am hoping that Oogies may consider adding just a little more lime to the mix!! It was a tad bit spicy as well, but of course that just made my Husband even happier!! Doug drank a bottle of water while he ate his serving!! 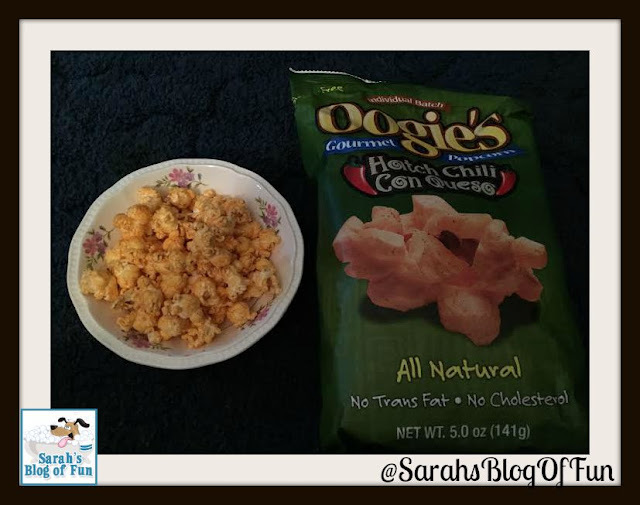 I am really impressed with how much cheese flavor Oogies can get into the popcorn!! The Smoked Gouda has a nice smokey flavor to it. It reminded me of sitting around the camp fire!! 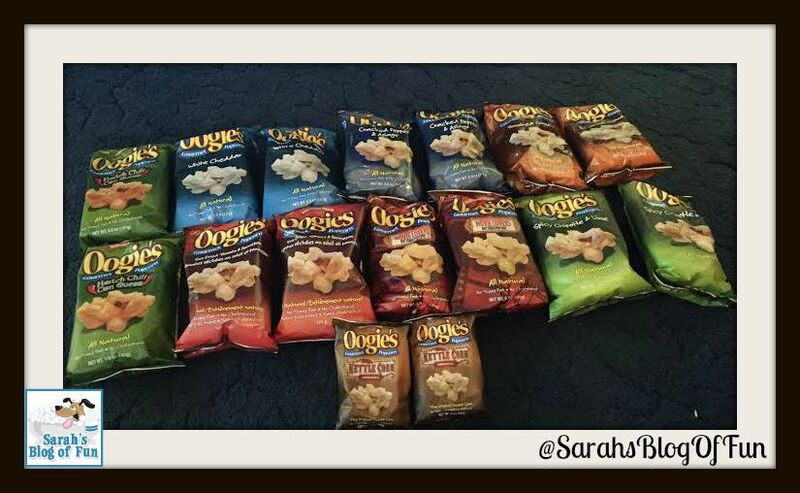 I am very happy with all of the flavors Oogies has to offer. It was great to get try things outside of our normal comfort zone. We went to the beach this past weekend, and I brought some along for my extended family to try. They've already placed orders of their own!! 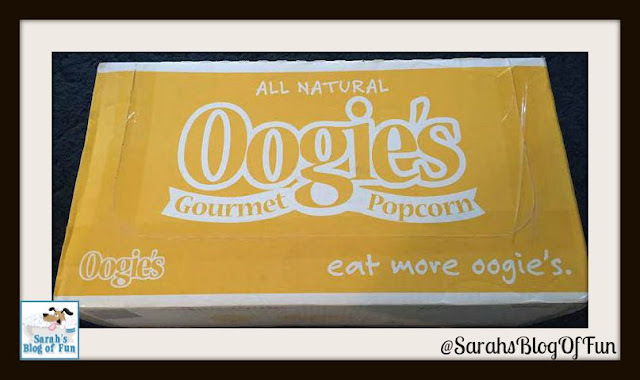 With the holidays approaching quickly, Oogies Popcorn would make a great gift!! Would you like to try some for yourself?? The good folks at Oogies would like to offer one reader their own Party Pack like I received above!! I would be most excited to try the movie lovers. I love buttered popcorn! I would love the White cheddar flavor the best. I would really like to try the white cheddar flavor. I'd like to try the White Cheddar popcorn. The Movie Lovers Buttered Popcorn also sounds good. I am most excited about the white cheddar and the smoke gouda! I would like to try the Sun Dried Tomato & Parmesan. I would love the white cheddar flavor popcorn. I want to try Smoked Gouda. White Cheddar would be tasty! I would like to try the Hatch Chili con Queso. I would love the white cheddar!!!! I would really like to try the white cheddar flavor! I would like to try the smoked Gouda because smoked Gouda grilled cheese is my favorite kind of sandwich. I'd love to try Smoked Gouda. I'd love to try the Sun Dried Tomato & Parmesan flavor the most. I want to try the Smoked Gouda! That sounds like an amazing flavor! They all look so good, but I would love to try the white cheddar.